As thousands of Christians from all over the nation gathered together for the Christians United For Israel Washington Summit, their rally cry was to continue strengthening and upholding the allegiance between America and Israel. What a powerful way to let our government officials know the desires of millions of their constituents. I am grateful for the 88 people who attended the conference from Minnesota, 60 of whom were from Living Word. In total, region 8 (MN, WI, IA, and IL) had 170 people registered. I hope they were truly blessed by this opportunity to visit our nation’s capital and show our government that we support Israel. 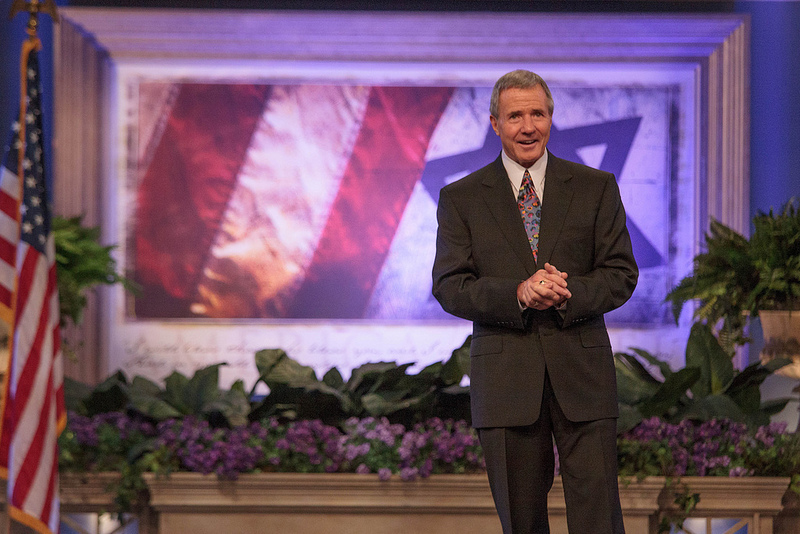 It is truly an honor to stand for Israel and the Jewish people through Christians United For Israel (CUFI). If you haven’t heard of CUFI or want to find out more about the summit, CUFI’s mission, or other events they host, please visit cufi.org. This week, Washington DC is filled with thousands of Christians from around the nation. They have gathered for the annual Christians United for Israel Washington Summit 2013. The purpose of this nonpartisan summit is for our CUFI delegates to represent to our government the million plus members of CUFI who want America to support Israel in its policies and national decisions. Last night, Daughters For Zion, a subsection of CUFI, held a special teaching and prayer session with Pastor Cheryl Morrison, Rev. Billye Brim, and my wife, Pastor Lynne Hammond. Today, summit attendees can attend a variety of breakout sessions where they can learn more about supporting and honoring Israel and the Jewish people. The highlight for Tuesday, July 23 will be the national A Night to Honor Israel event held at 7 p.m. with Pastor John Hagee, Ambassador Ron Prosor, and Glenn Beck. Wednesday, July 24 is the day set aside for registered attendees to meet with their elected officials and tell them why supporting Israel is so crucial for our country. Please keep the summit in your prayers over these next few days. Together, we can look forward to hearing what God will do through this trip. For the past seven years, thousands of Christians have come together annually for the Christians United for Israel Washington DC Summit. This trip has always come at a crucial time for Israel, and this year is clearly no different. America, Israel, and the world are facing a great danger in the Middle East. We need to stand up and let our voices be heard. This July, we are heading back to Washington for our eighth year. Please prayerfully consider joining us. Once again, we’ve put together a special package with free bus transportation along with discounted trip registration and hotel rates for MN residents. This opportunity will be available on a first-come basis until June 23. The more people who attend, the more impact we can make on our nation. This Washington DC Summit is your chance to demonstrate that Christians and Jews stand united despite all opposition we face. During this trip, we will bring together some of the most influential leaders and thinkers to update you on recent developments in Israel, the Middle East, and Washington DC. We will hold a national Night to Honor Israel, and you’ll have a chance to meet with Congress and share your support for Israel directly with your elected officials. CUFI has a Kids Camp for ages 5–12 during this time. The discounted package includes conference registration, four nights at the Doubletree hotel in Washington DC, and roundtrip bus transportation from Brooklyn Park, MN, to Washington DC. The roundtrip bus transportation will depart to Washington on Saturday, July 20 and return to Minneapolis on Friday, July 26. To register, you can visit www.cufi8.com/summit. We would love to have you join us as we make a difference in our nation. When my wife, Lynne, and I decided to take 28 pastors on their first tour of Israel, we did so believing that the experience would not only deepen their understanding of their spiritual heritage, but also strengthen their commitment to Israel’s welfare as a nation. We did not realize, however, the degree to which our love and support of the Jewish people would escalate by a shared experience of the violence they face on a regular basis. Click here to read more of “Mac Hammond Recounts ‘Surreal’ Israel Experience During Hamas Skirmish” on Charisma News. On November 12-19, 2012, Pastors Mac and Lynne Hammond and Dr. Billye Brim led a tour of around 30 pastors who have never been to Israel to tour the land where Jesus walked. …Things have “heated up” in the South and in the North. Over a hundred missiles launched from Gaza on purpose. And two evidently errant missiles from the Syrian Civil War have landed on the Golan….